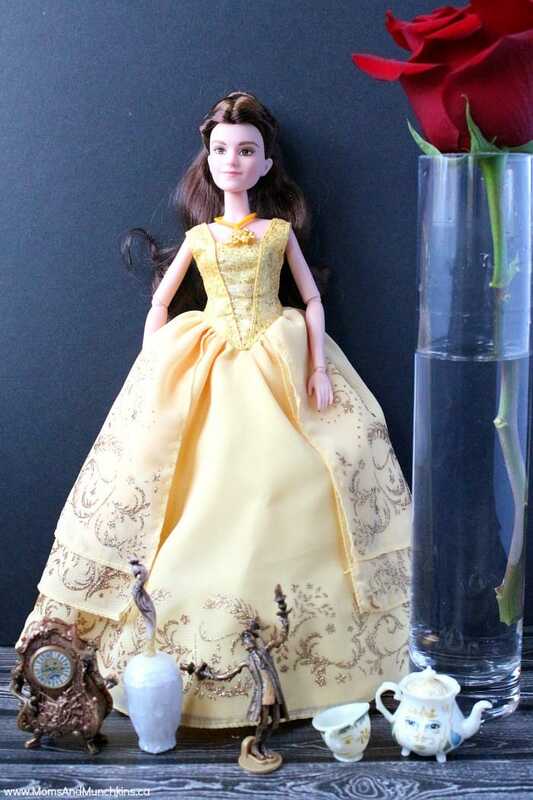 Your children will love creating their own stories with the Beauty and the Beast dolls and figurines. 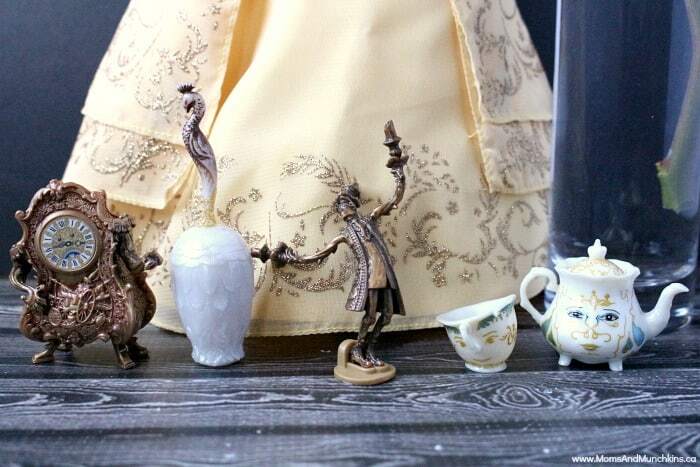 The Castle Friends figurines would be great for hiding in Easter eggs this year! 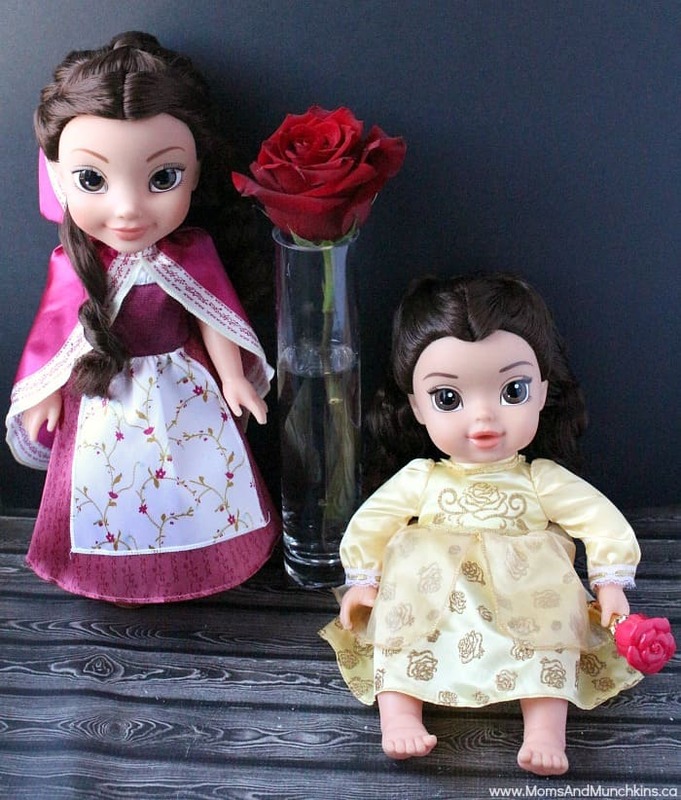 They also have larger dolls like Baby Belle with a rose rattle. These dolls would be perfect for younger children. 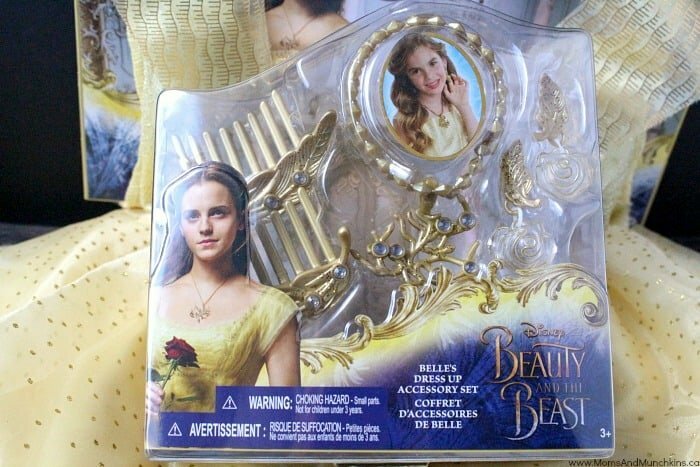 For dress up and imaginary play, you’ll want to check out Belle’s Ball Gown, the dress up accessory set (including hair combs, rose earrings and a necklace) and the Enchanted Rose Jewelry Box. 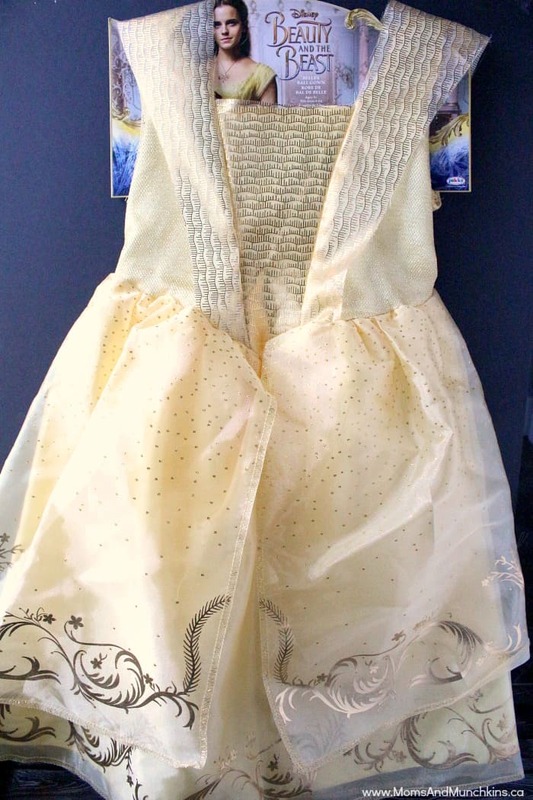 Belle is going to be a popular costume choice this year for Halloween so it would be a great idea to pick up some of these items now. 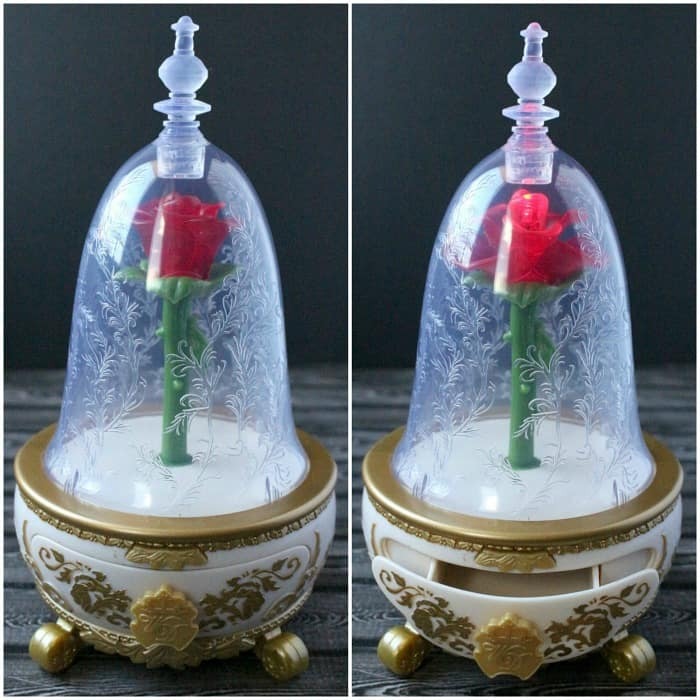 My son’s favourite of the Beauty and the Beast toys is the Enchanted Rose Jewelry Box. When you open the drawer, the rose opens, lights up and plays the Beauty and the Beast song. 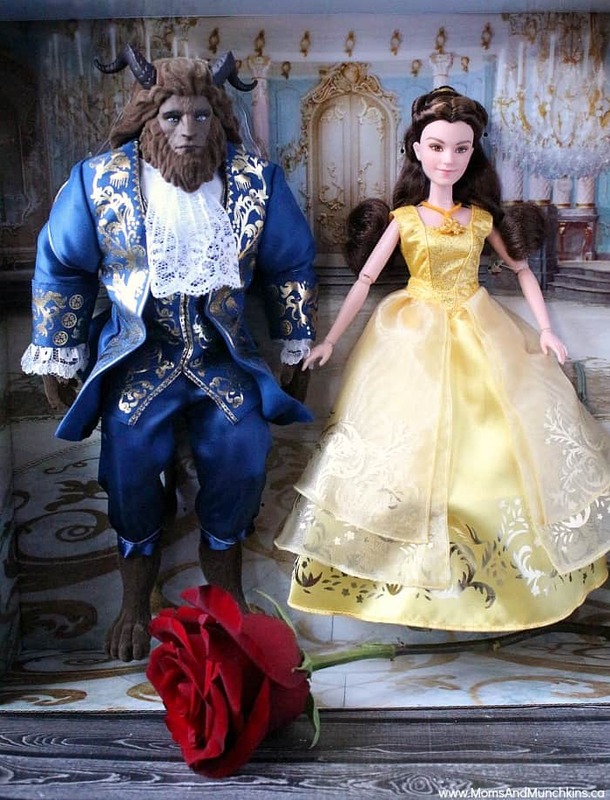 Some of these Beauty and the Beast toys are exclusive to Toys“R”Us and you can check out the complete collection online.